While we await the unveiling of the next iteration of iOS at Apple’s WWDC 2018 developer conference next week, Apple has today rolled out a new update for iOS 11. The iOS 11.4 update brings along two new features, including iMessages in iCloud and Airplay 2, for which we’ve waited almost a year. This is one of the most anticipated features and finally makes the Apple HomePod a lot more useful. 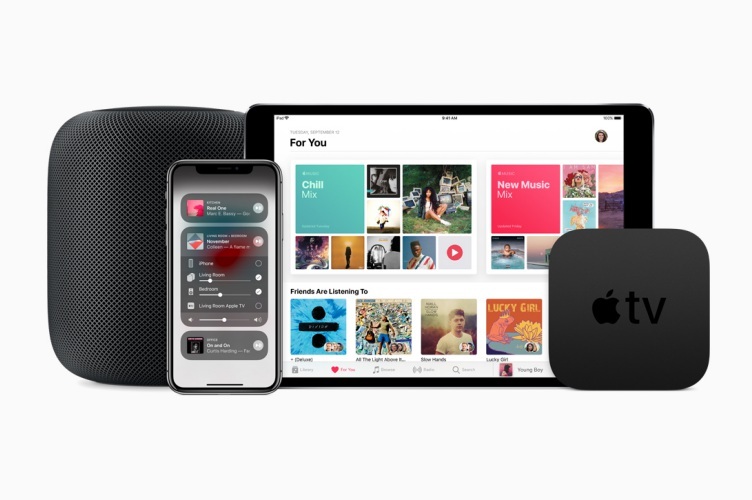 Airplay 2 adds multi-room audio support, which means multiple devices supporting this technology can be used to play the same music across your home. The biggest benefit of this feature, however, would have to be that you can now set up two HomePod smart speakers as a stereo pair to enjoy a richer soundstage. 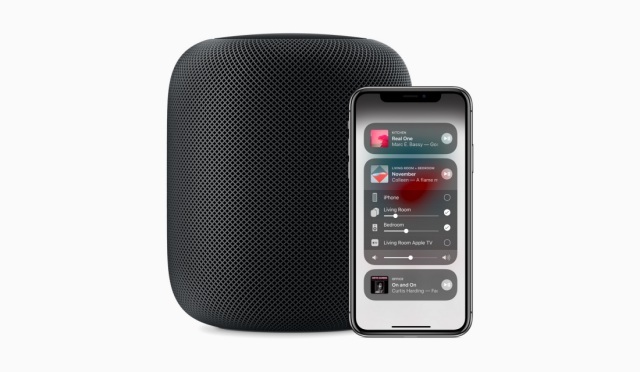 The two HomePods will now work in tandem to deliver a seamless streaming experience, where you can simply ask Siri to move the audio to the bedroom or living room and it will do so easily. Airplay 2 also works with Apple TV and can be controlled via your iPhone or iPad. 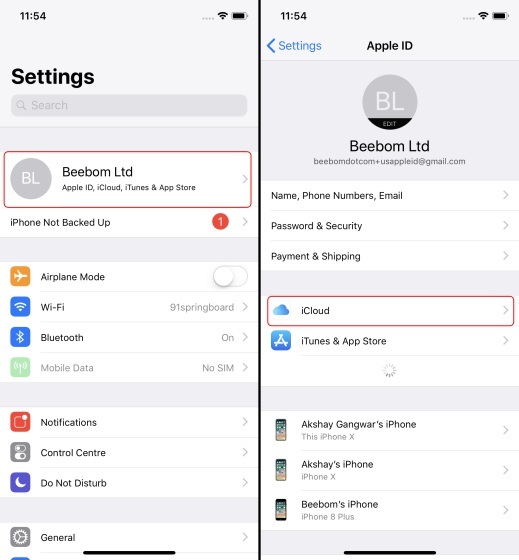 This feature is also one that’s been long awaited and as the name suggests, it will allow you to sync your iMessages (including SMS texts) in iCloud. This feature now makes it simpler for Apple to sync your messages across the ecosystem of Apple devices. For example, now when you delete a message on your iPhone, it will be gone from your iPad’s iMessage history as well. This feature will help you reduce clutter while also saving you some previous local storage by saving the rich-media content in the cloud as well. 1. On an iPhone, navigate to ‘Settings > Apple ID,’ followed by the iCloud section. 2. Scroll down and ‘turn on’ the toggle next to the Messages option. 3. 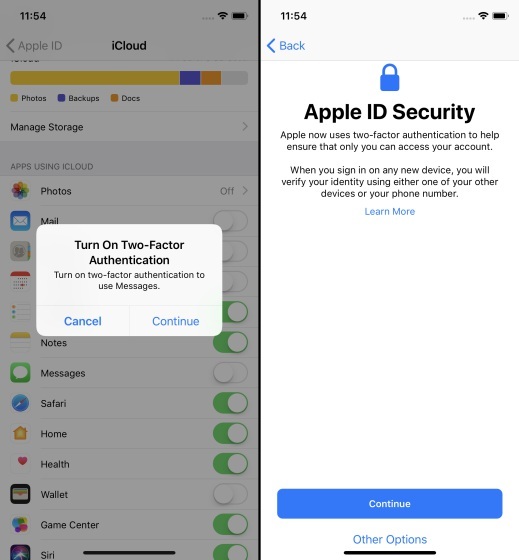 The device will prompt you to enable two-factor authentication, which you should, and follow along with the steps to configure the same. The activation process needs to be done on each Apple device manually and can prove to be a bit tedious, if you have many lying around. The steps remain the same on any iOS device but on a macOS computer, you will need to open the Messages app, head over to its preferences and check the box next to ‘iMessages in iCloud’ option. So, if you plan to turn on this feature, the free promotional month of iCloud storage that Apple is currently offering to new subscribers may come in handy.